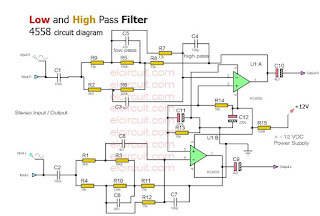 This low and high pass filter circuit, it's a simple circuit that can filter audio signal low and high frequency. 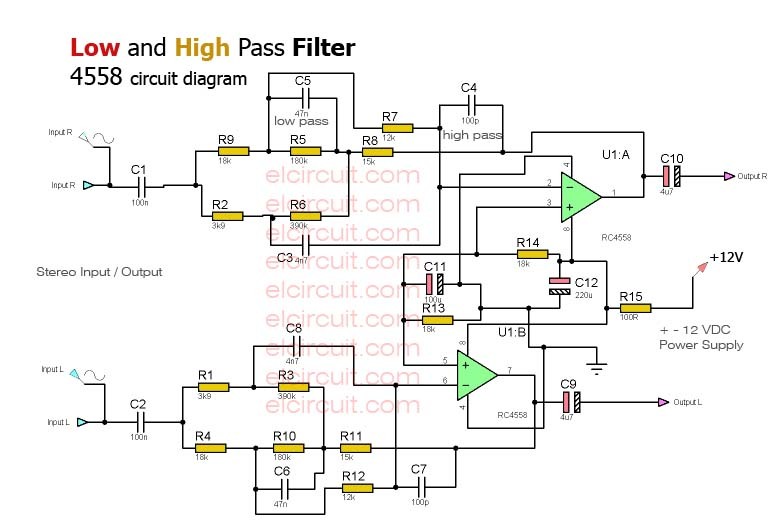 As function same as the bass booster and treble booster, but this circuit is just enhancing gain low and high audio frequency, so sound output have more bass and treble than vocal/middle. 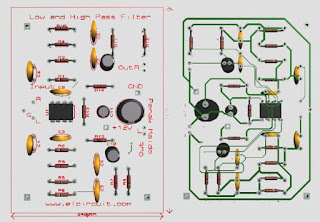 Low and high pass filter using IC 4558 based Op-Amp Chip for main amplifying and filtering the audio signal. 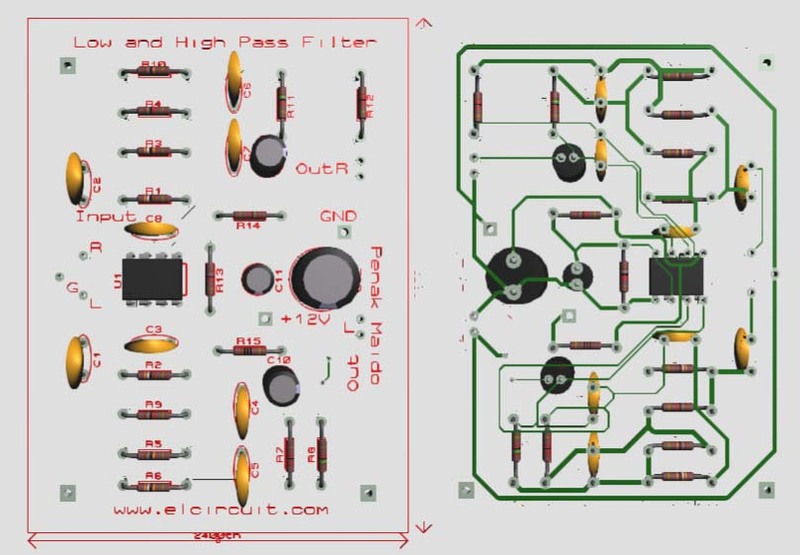 This circuit just need a 12VDC power supply ( non-CT ) and you give audio signal input, the audio signal output is more bass and treble, so soft and so powerful. 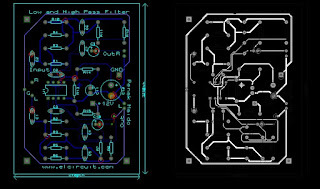 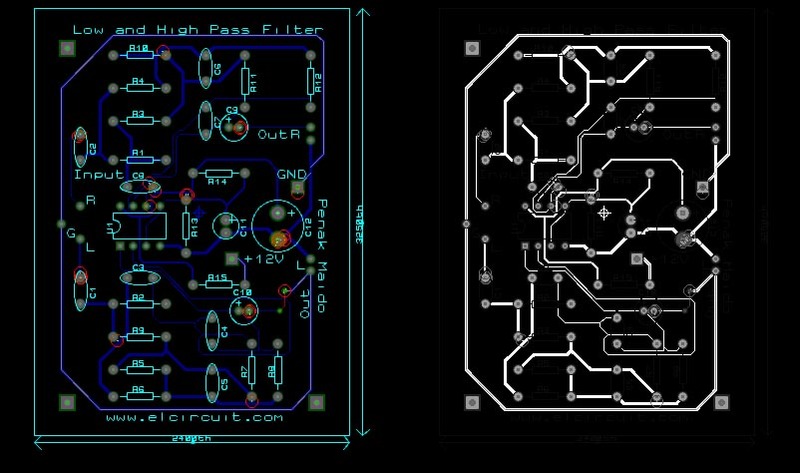 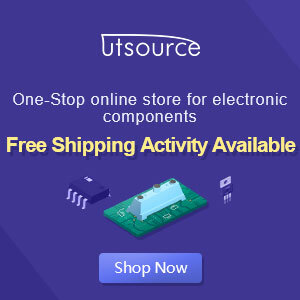 Below the complete schematic diagram and layout PCB, include pdf file and 3DS file for view 3D PCB layout.